We actually had a chance of snow flurries in our forecast this week! In Georgia, that’s a huge deal. A chance of snow flurries means a state of emergency. Turns out that we didn’t actually get any snow, which was disappointing to my kids. 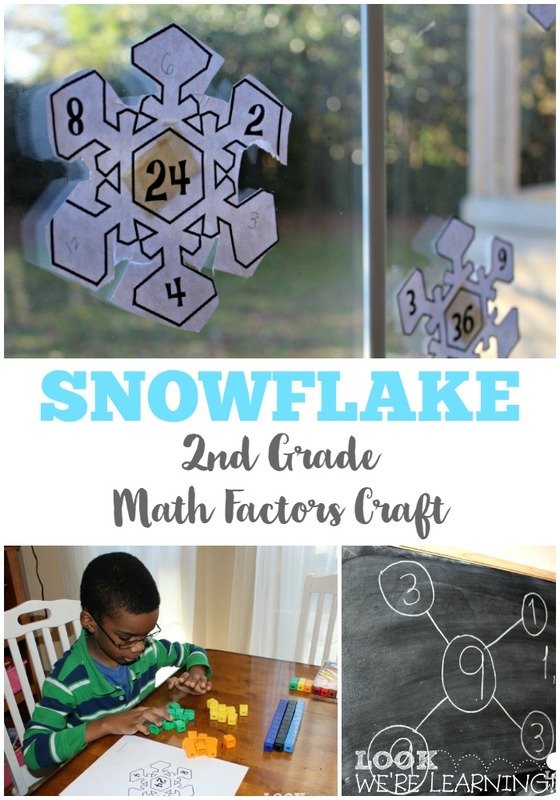 But we kept the snowy theme going with a fun paper snowflake craft featuring 2nd grade math factors! 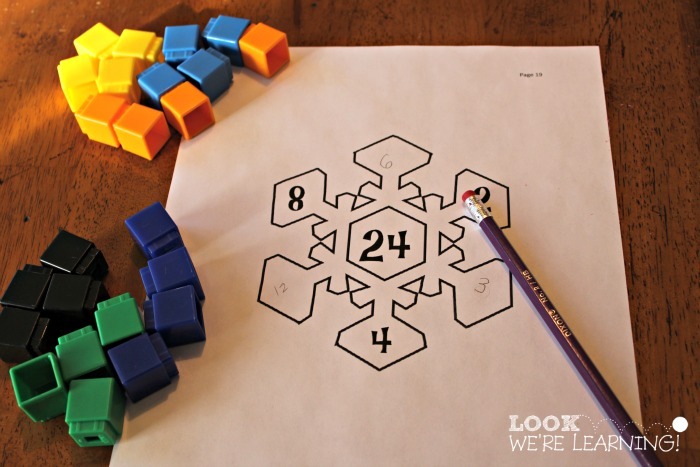 Check out our winter-y math craft below! Before we could start talking about math factors, though, Pooh needed a quick primer on multiplication. 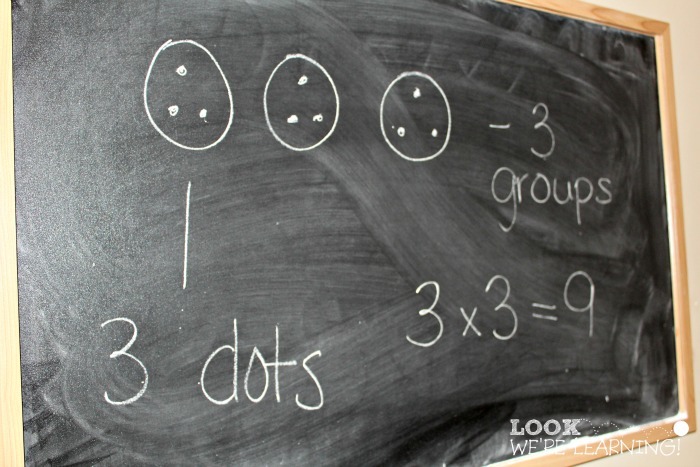 So we talked about making equal groups – one of the ways we can teach multiplication. 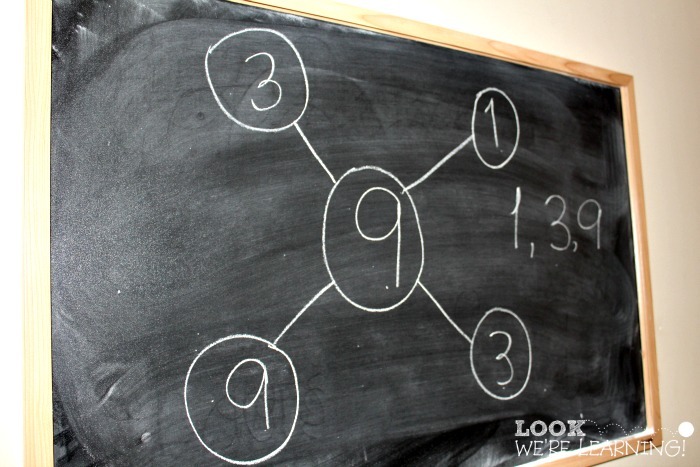 First, we started with a simple multiplication fact – 3 groups of 3 equals 9. 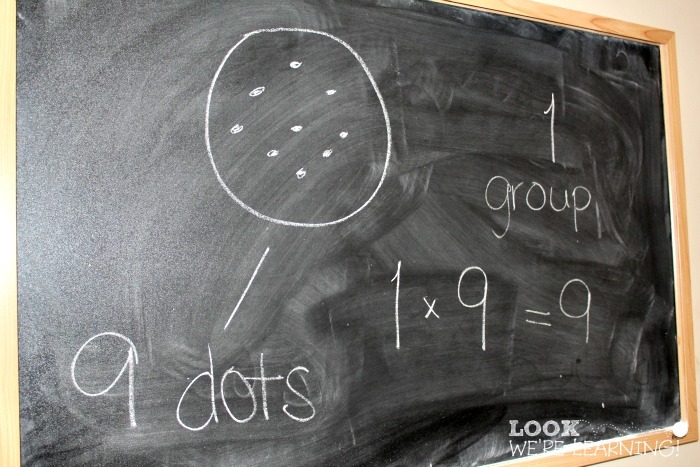 Then we learned that you can also make nine by using 1 group of 9 dots. Which means 9 has three factors: 1, 3, 9. All three can be multiplied in different combinations to make 9. 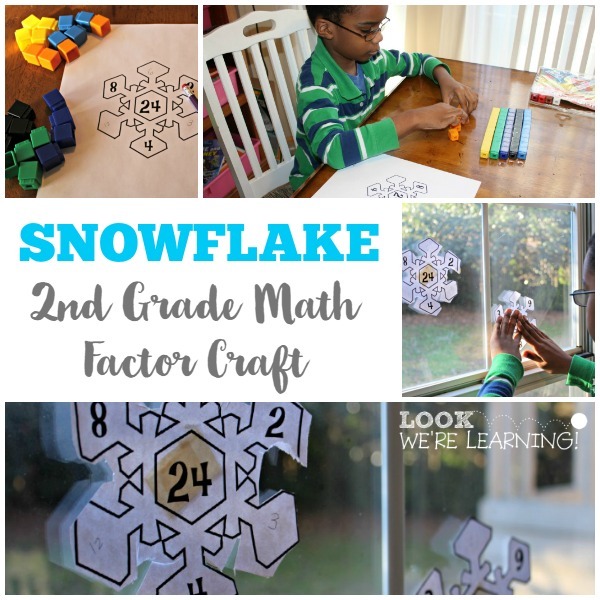 Time to make our math factor snowflakes! 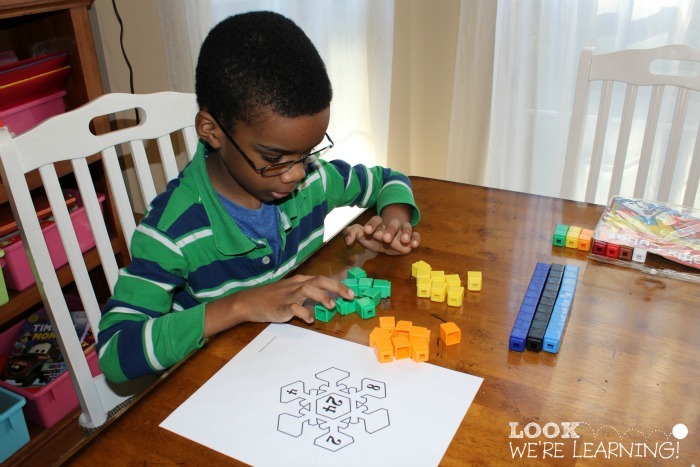 We used our Snowflake Math Factor Printables and a set of Unifix Cubes to help Pooh visualize how to find his multiplication factors. As we made equal groups of 8, 4, and 2, Pooh discovered the missing math factors that make 24: 3, 6, and 12. As we discovered the missing factors, Pooh filled in his snowflake. Now to cut it out! Roo was in the kitchen as we worked. 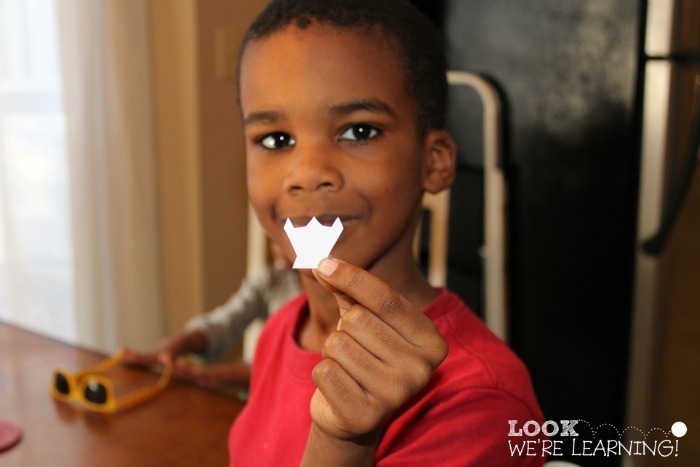 He came upon one of the paper scraps and declared it “a great white shark’s tooth”. Alrighty then. 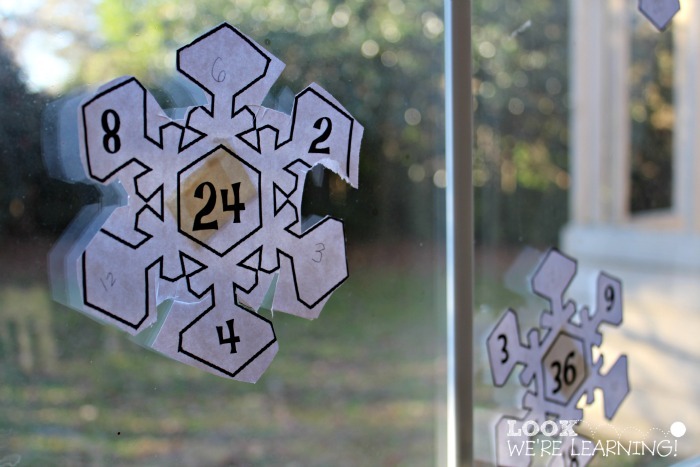 We added masking tape to the back and hung our snowflakes on the window. Ta-da! We got some “snow” after all! This was a really fun, hands-on activity that also served as a nice way to talk about multiplication without overwhelming my 2nd grader. 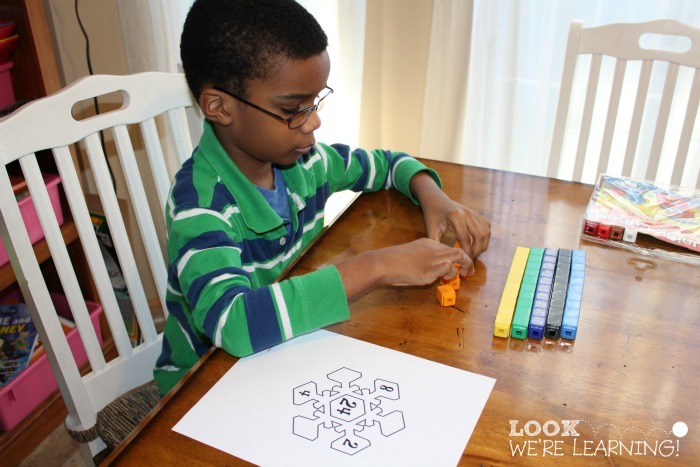 If you’d like to make this craft at home, grab a set of our free Snowflake Math Factor printables! 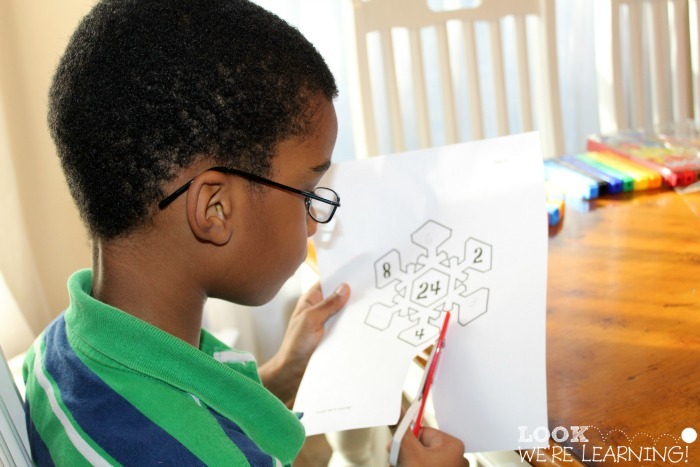 There are combinations up to 144, so you can easily use this with 2nd to 4th graders. 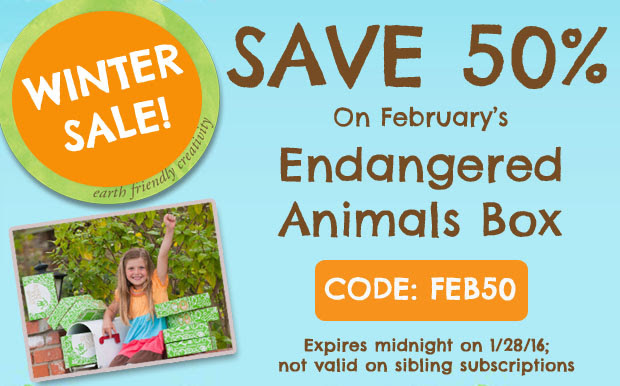 Plus, the answers are included! 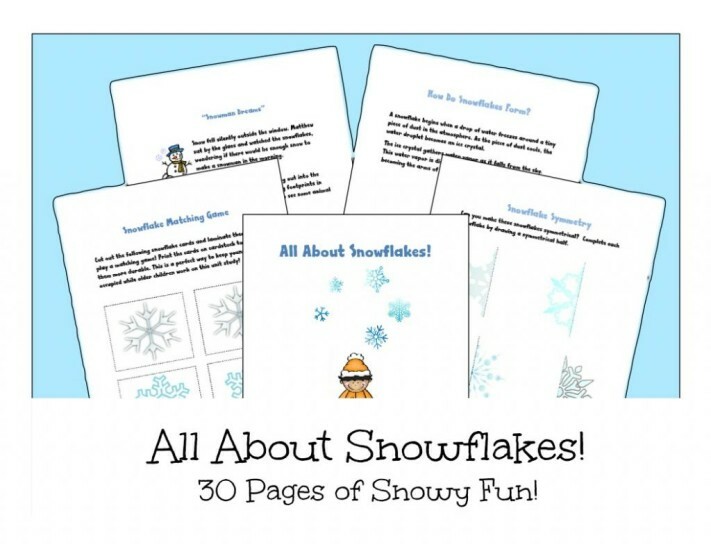 For even more winter weather fun, pick up our All About Snowflakes unit study! 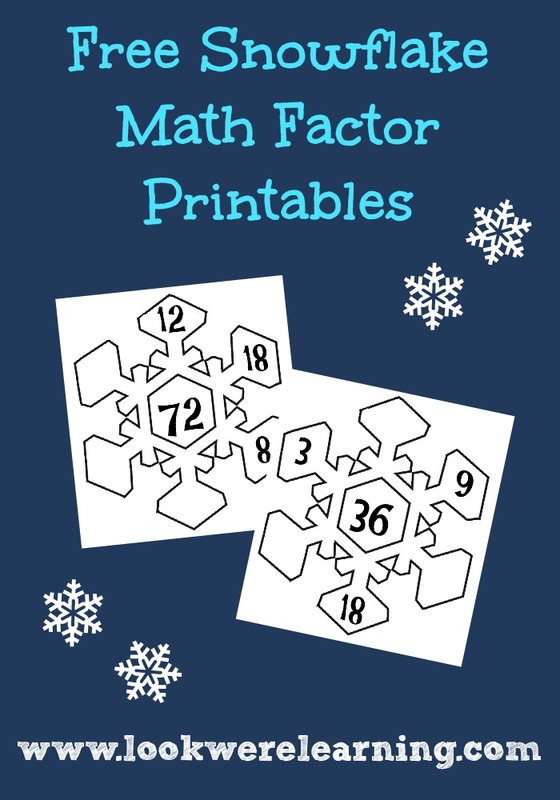 It has our snowflake math factors, as well as plenty of other science, grammar, and Pre-K activities about snow! We’re not the only ones having fun with snow this week! 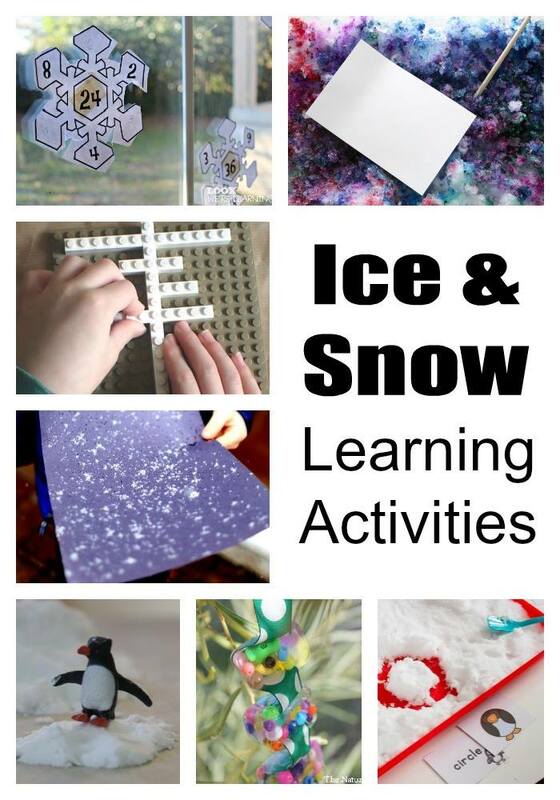 Check out the other snow and ice activities from the Early Elementary Blogging Team! 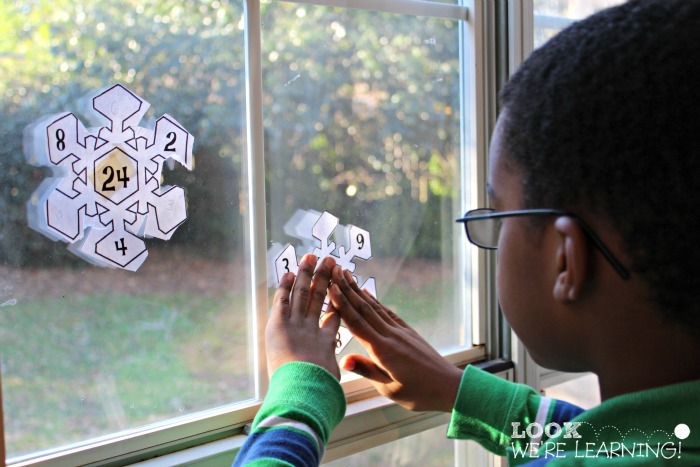 What a great way to teach math factors! My son has just shown an interest in multiplication recently. I’ve told him about making groups, this looks like a fun activity to add in!